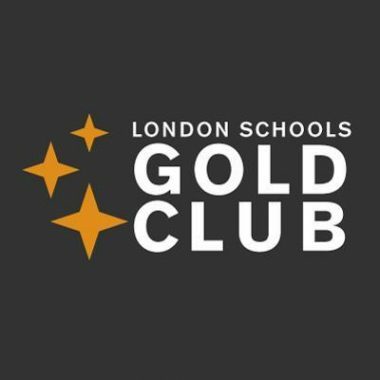 The London Schools Gold Club celebrates and shares ideas from London’s most exceptional schools. The Mayor has just launched a new scheme for senior leaders in London. Getting Ahead London can prepare senior leaders for a headship role in some of the capital’s most rewarding and challenging schools. We know that many London schools are struggling to recruit great leaders. Through a structured, year-long programme of coaching, network building and career advice, Getting Ahead London will give senior leaders the skills and confidence to help them move towards a headship position. • Getting Ahead London will run from September 2016 until July 2017. This initiative will complement existing leadership development programmes and qualifications. The deadline for applications is 12 June 2016. You can also download an e-guide from the GLA web page to apply. The purpose of this course is to broaden the spectrum of teaching techniques and strategies used by music and classroom teachers and TA’s in SEN environments. It will cover looking at the inclusive ways of teaching, cross curricular impact and possibilities of using music as a tool for promoting wellbeing and communication. This course is being run by Gabriel Kain, who is an SEN Music Teacher and Practitioner based at QE2 Jubilee School. He has 7 years’ experience teaching music to SEN students, covering a full spectrum of ages and abilities. His practice is supported by having completed a Trinity College Course in Early Years Music Education, and Nordoff-Robbins ‘Introduction To Music Therapy’ course. On a few occasions he presented and held Q&A’s at music conferences organised by the Tri-Borough Music Hub for Westminster, Kensington & Chelsea and Hammersmith & Fulham. The workshop will be held at the Access and Inclusion Centre at the QEII Jubilee School W9 3LG on Monday 18th April, 9.30-12.30. The cost of the course is £40 for all participants. The Epic Health team co-ordinates the Tri Borough Public Health ‘Relationship and Sexual Health Education’ training programme for professionals. The annual training programme offers a wide range of training opportunities for local professionals, staff and volunteers working with young people across the Tri Borough area of RBKC, Westminster and Hammersmith & Fulham. 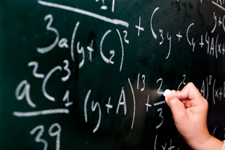 The network meetings offer a forum for subject specific co-ordinators to share examples of good practice and meet other teachers from different schools. The meeting will include updates on PSHE and EHWB (local and national) including signposting to resources and partner organisations. There will be an opportunity to share good practice with colleagues and an update on the free resources we have produced, including the recently updated PSHE and Wellbeing Framework and Audit Tool. The Assistant Head and PSHE lead at Sacred Heart school has kindly agreed to talk about the developments they have made within PSHE – the changes they have made within monitoring, assessment, recording and reporting have had a positive impact on the status of PSHE in the school amongst both staff and pupils. This is a great opportunity for newly appointed PSHE leads to gain confidence in their role.